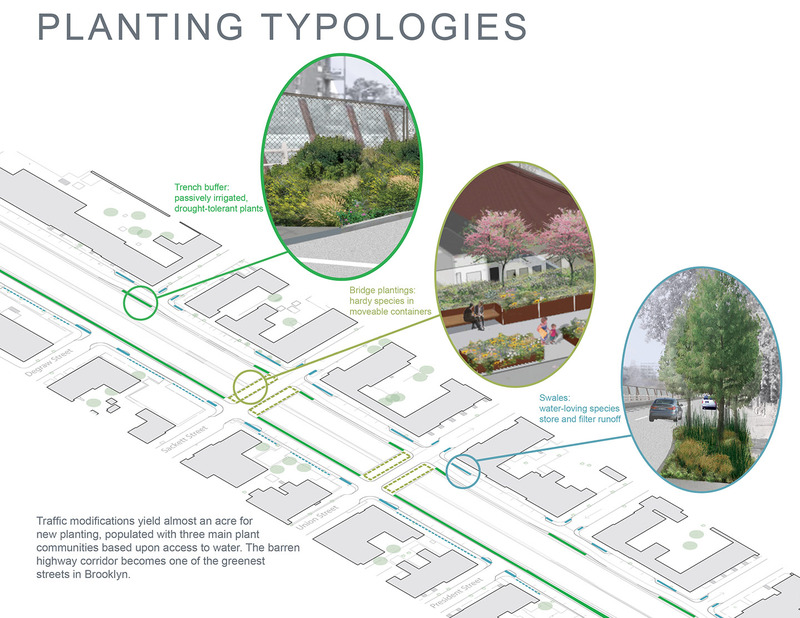 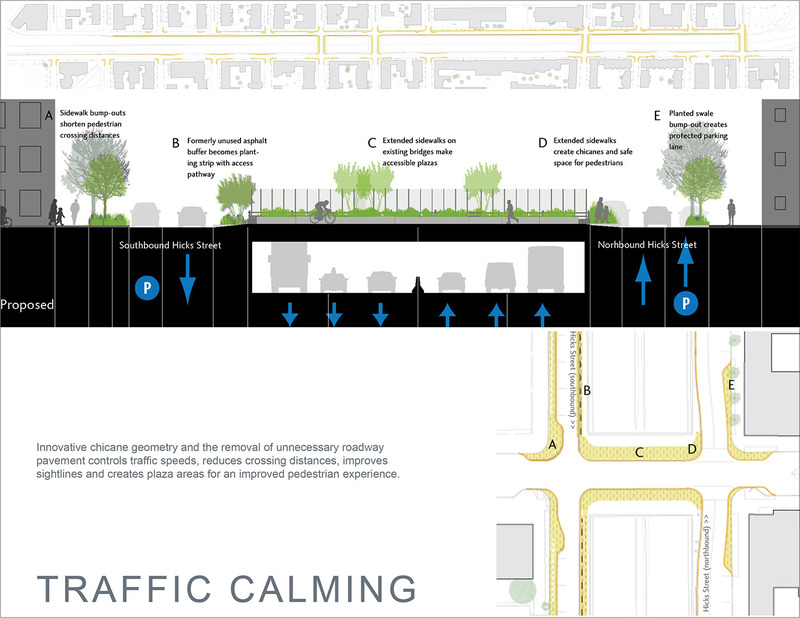 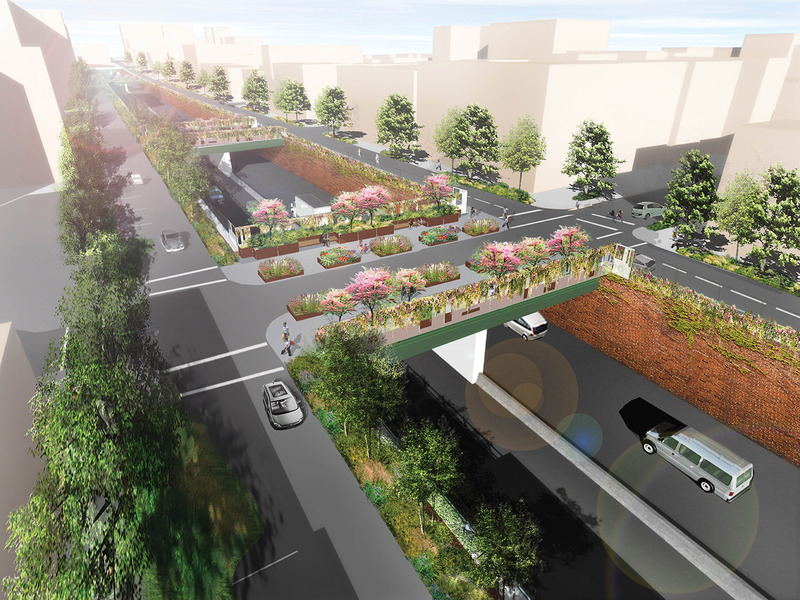 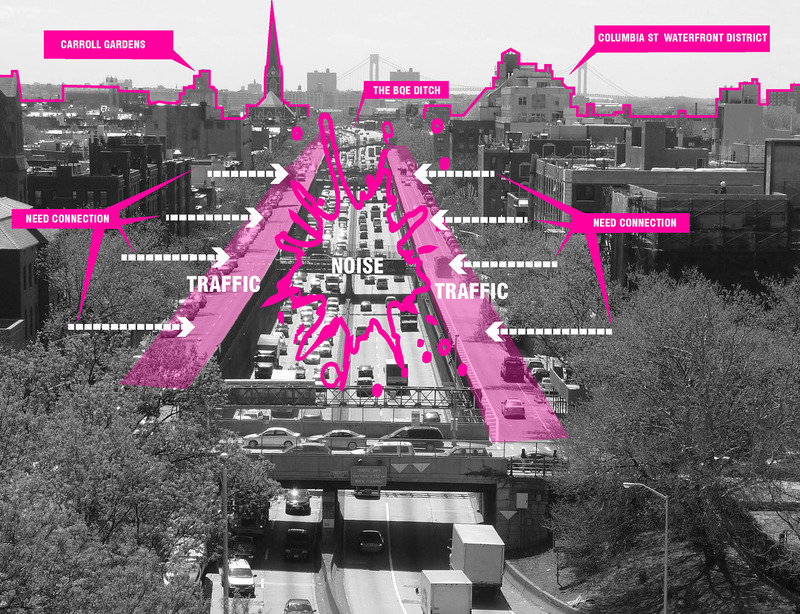 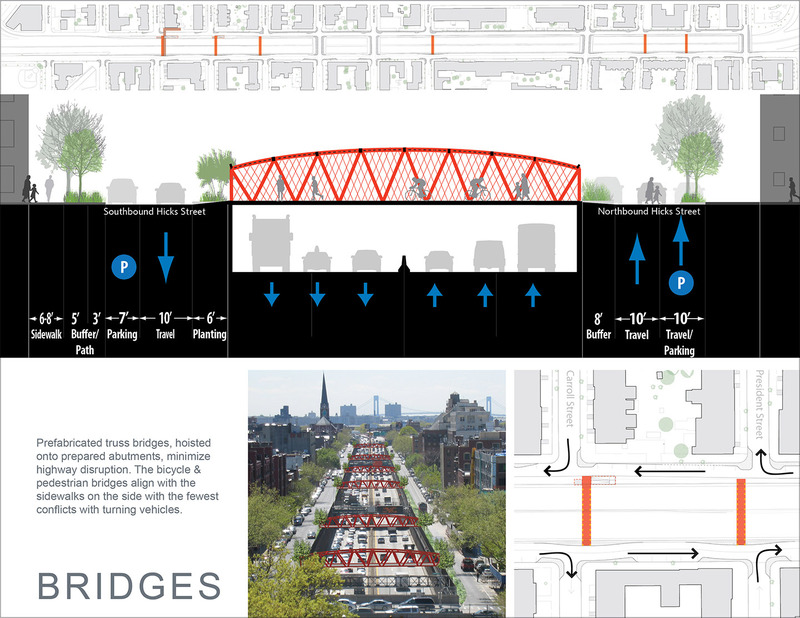 The Brooklyn-Queens Expressway Enhancement Project advances a progressive series of safety, environmental, and public space improvements for the neighborhoods sundered by the open highway trench built by Robert Moses in the 1950s. 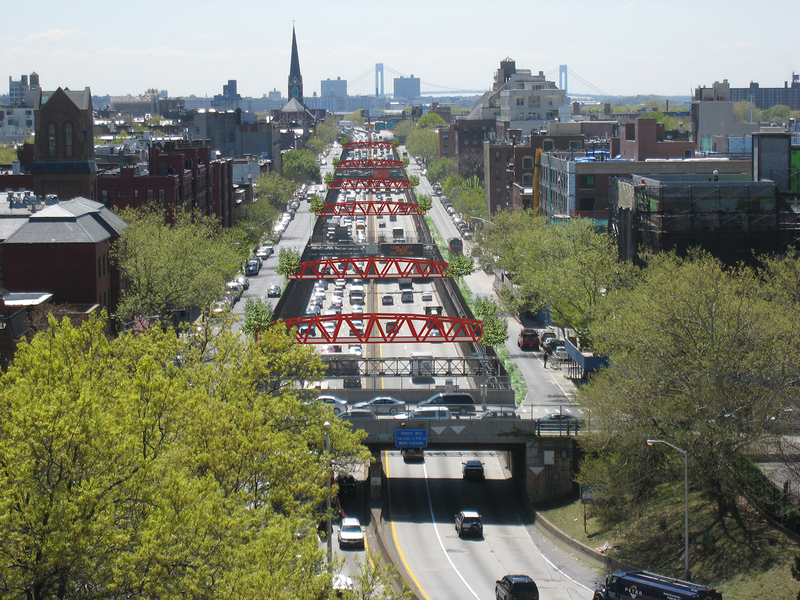 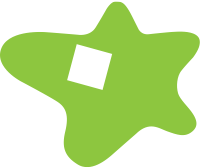 The concept plans for the NYC Economic Development Corporation emerged directly from interactive community workshops, and enable flexible and effective project implementation. 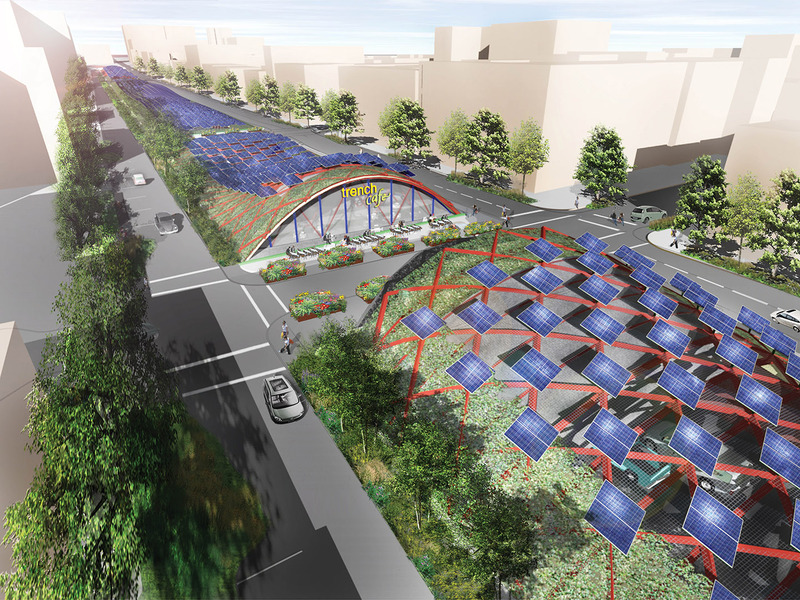 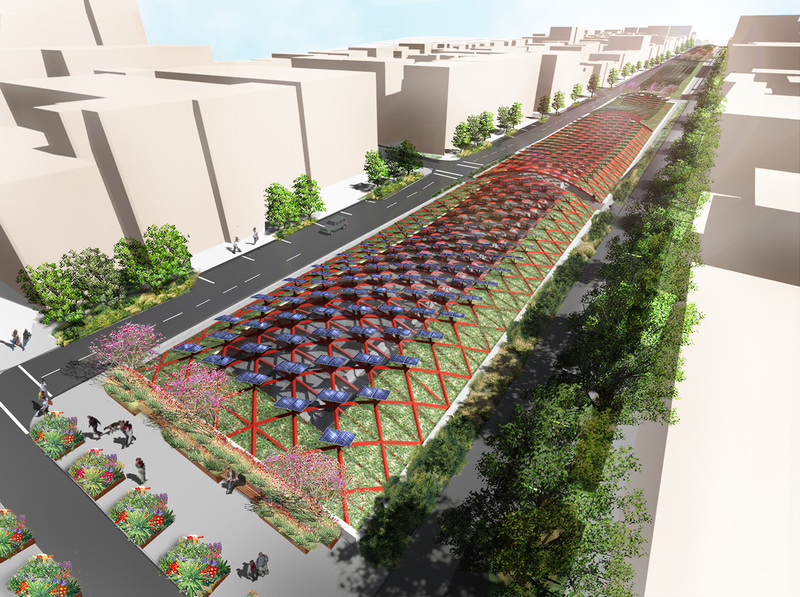 Starr Whitehouse, with Kiss + Cathcart Architects, conceived three transformative visions for the area above the BQE: taming Hicks Street into a rainwater-recycling, sustainable, pedestrian-friendly street dotted with engaging public spaces; creating a city of “green machine,” solar-equipped bicycle/pedestrian bridges that reconnect the neighborhood; and spanning the BQE with a graceful green trellis canopy augmented with acoustic panels, passively-irrigated vines, and an array of photovoltaic panels that could produce over a million kilowatt-hours of green energy per year.